Welcome to our Genesis Casino Review where we explore our Genesis Casino ratings 2018. The company, Genesis Global Limited, which as with most businesses in this sector is based in Malta. Even though the site is new, the company has many years of experience in the sector – with sister sites such as Casino Cruise. The site has a gaming license in Malta, as well as being licensed by the United Kingdom Gambling Commission. The company behind this new site seem to have worked particularly hard on branding. They tell the story of the site with the lines “In a million miles, along a highway in the sky, is where it all began.” and “Hold the cosmos in your hands.” If this all sounds a bit heady and poetic, then don’t be fooled. The site is fun and designed around the idea of a spacecraft journey – with pod doors, planets and stars – which does a lot to distinguish it from other sites offering a similar service. The user experience should play a huge part in a Genesis Casino Review. As it is a new site, the issue of trustworthiness and capacity to offer a seamless experience may be in doubt. Indeed, there is not much evidence in reviews from users to influence an opinion about customer support or responsiveness. If we base our Genesis Casino Review on the experience of customers with the company’s sister sites, then we have to say that they are worth a go. There are a lot of ways to deposit with the site, including most of the eWallets and cards/ banking options. Your withdrawal methods must be the same as your choice for deposit. Be careful which you choose, as the withdrawal times will vary between methods, from a few hours to a few days. Due to the care put into customer support in this way, we felt it only fair to offer a balanced Genesis Casino Ratings 2018 for experience. This is a site that understands that coming new to the market gives them little room to be behind the times. One of the most important factors in the success of a site is in the mobile experience with the company. This is something we feel we should explore in detail in this Genesis Casino Review, as it is an area where they do particularly well. They promise that you can hold the cosmos in your hands, and they are not lying. They use the most advanced mobile technology in their mobile site – meaning the screen is easy to navigate and the transitions smooth. What influenced our Genesis Casino ratings 2018 more than anything is the quality of the graphics of the site. This is a visually stunning casino and there is a sense from this design that you are dealing with a professional company. Being new to market you would think we would have to forgive the site in this Genesis Casino Review for a lack of variety. However, there is over 1300 games on the site – from such large software developers are Play ‘n Go, Quickspin, NetEnt, Microgaming, and Evolution Gaming. This means you have the quality – and you have access to all your favourite slots, table games, live games, poker, and more. The live play is run by best in the field, Evolution Gaming, so this is an excellent experience for the gambler. However, it is the slots that will keep you playing on the site – they are really out of this world. 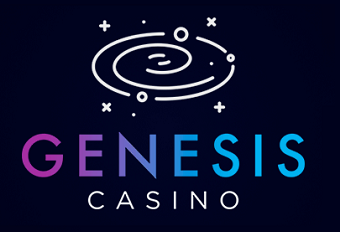 There is a chance we are taking the space puns a bit far now, so we will just leave you to review our Genesis Casino Ratings 2018 to make clear what we mean! As seems to be a new trend with casino sites coming to market, the details about promotions and bonuses are a little nebulous – and not in the cool space way the site would hope. There is a 100% matched first deposit up to 100 euros. This seems straightforward, though details about the playthrough rates were difficult to find. There are also 300 free spins, 30 a day for the first 10 days. Now, this is a clever way of getting you to come back again and again, and as it only takes seven repeated actions to form a habit, you can see what they are aiming for. There are also Lucky Star Bonuses each month – which gives away free spins. There is also Lightspeed Monday – which sounds cool – but we are not sure how much you will need to deposit to make this worthwhile. But, again you will get some free spins too. We don’t mean to be too cynical in our conclusions in this Genesis Casino Review, as the bonuses and promotions do sound cool. Even the VIP scheme looks like it has potential. It is just because the site is so new that it seems difficult to pin down the details to better inform our Genesis Casino ratings 2018. So, lets draw our Genesis Casino Review to some sort of conclusion. We are suitably impressed by the variety and quality of games on the site and this is the core business of any casino. Gathering together 1300 games, with collaborations with some of the best software developers is truly impressive. This makes our Genesis Casino Ratings 2018 for variety and quality top notch. There are still areas to work on – the promotions and bonuses need some clarity to help the user. Generally, we like the space theme and we understand this is a nod to the future and the idea that they are a modern and innovative casino.